Ducatis inspire passion and the M620 offers a way into the dream for those who are just starting out. 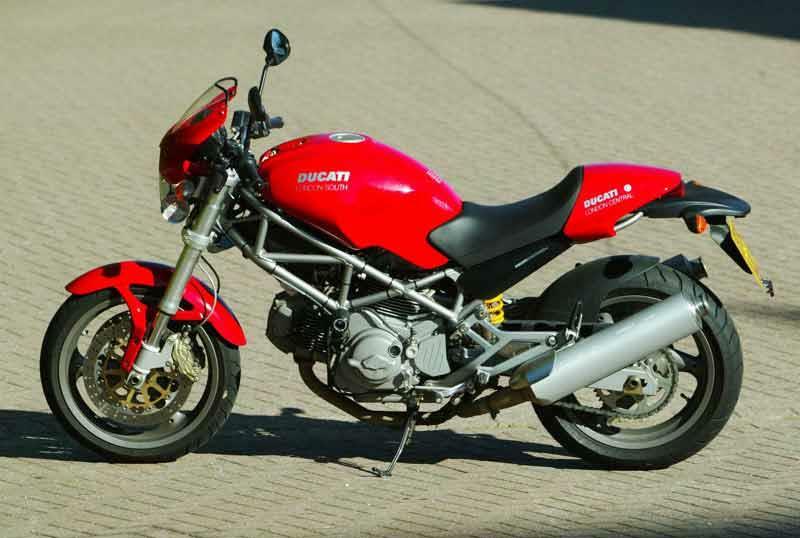 Like its stablemates, it looks great and sounds gorgeous but complaints about lack of power, basic suspension and its physical size (it’s very small) mean the Ducati M620 Monster is not for everyone. The seat’s low and the motorcycle is light and small: perfect for some, cramped and uncomfortable for others. 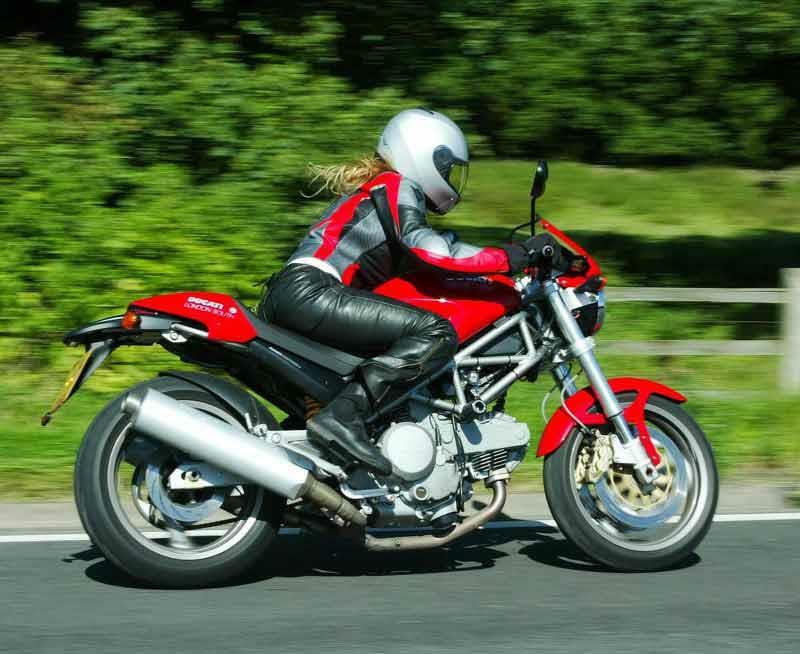 The Ducati M620 Monster has low ground clearance which can prove a problem if you’re “on it”, as can the soft-ish standard suspension settings and less-than-sharp steering. The light clutch is designed to lessen real wheel chatter on quick down changes. The Brembo brakes are excellent. 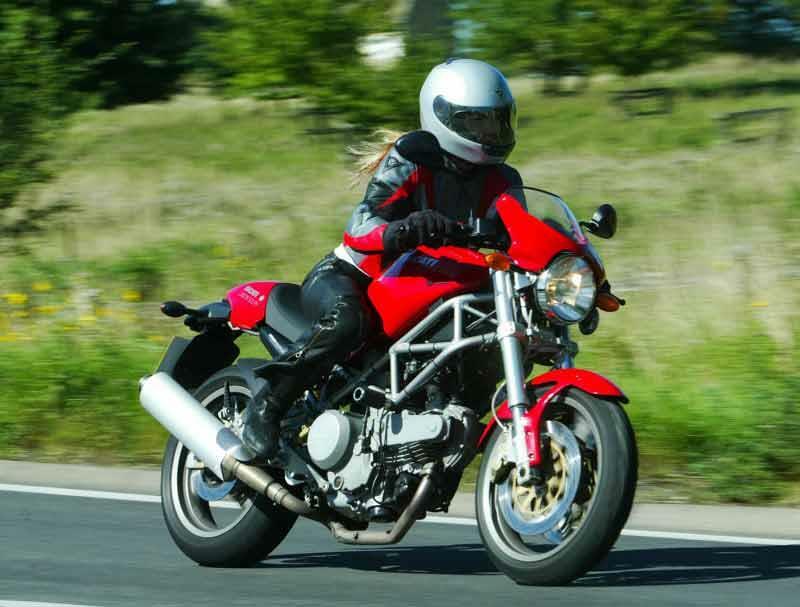 The Ducati M620 Monster offers 35cc and 9bhp more than its predecessor, the Ducati M600 Monster. Its air-cooled, Desmodromic engine has plenty of useable power but experienced bikers will find it lacking. Good build quality and finish (the frame’s taken from the Ducati Monster S4R), that alluring logo on the tank and a traditionally juicy-sounding exhaust add up to an attractive package with the little Ducati M620 Monster. Ducatis don’t have the best reputation for dependability, however, and parts are pricey. Loyal owners ignore all this, however, and love ‘em anyway. The Ducati M620 Monster might cost a little more than it's Japanese rivals (Suzuki SV650, Honda CBF600, Kawasaki’s ER-6n etc) but you’re buying into an Italian legend so a lot of riders are happy to pay the difference. 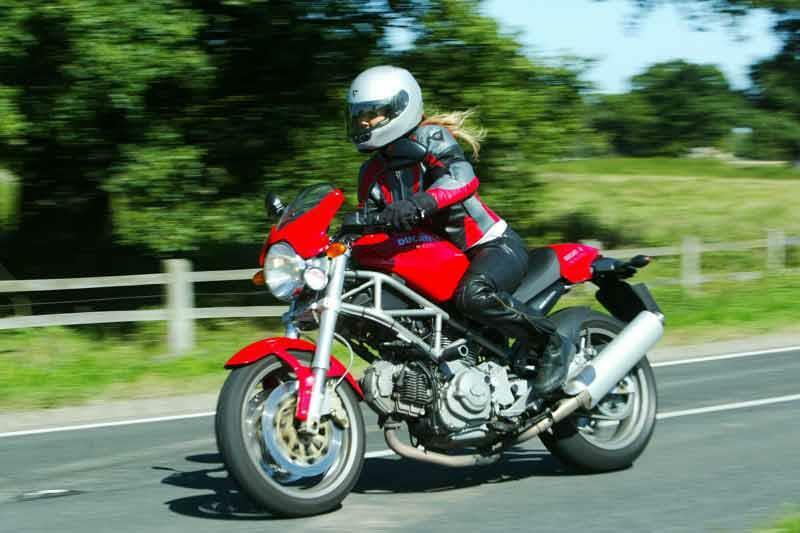 Ducati reliability can be patchy so be prepared for more than yearly servicing. Find a Ducati M620 Monster for sale. 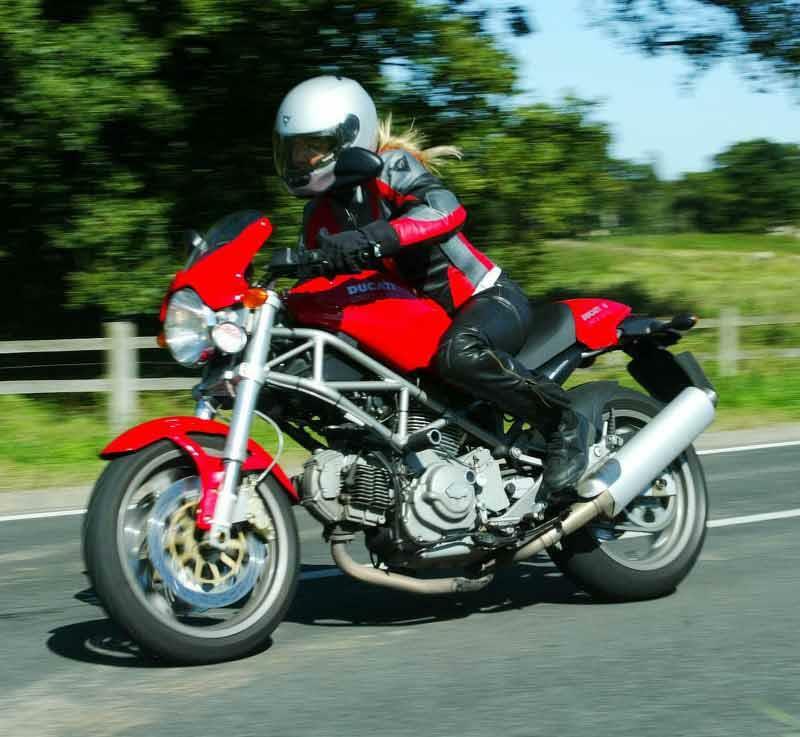 Fairly basic, no gadgetry here… the Ducati M620 Monster doesn't even have a fuel gauge. However, the electronic dash does have an LCD clock and a fuel reserve light. There are extras aplenty to choose from: carbon fibre body parts, performance upgrade kits, bars, brakes, pegs etc from aftermarket suppliers. The Ducati M620 Monster is great for customising but it might be cheaper to just buy a different motorcycle. 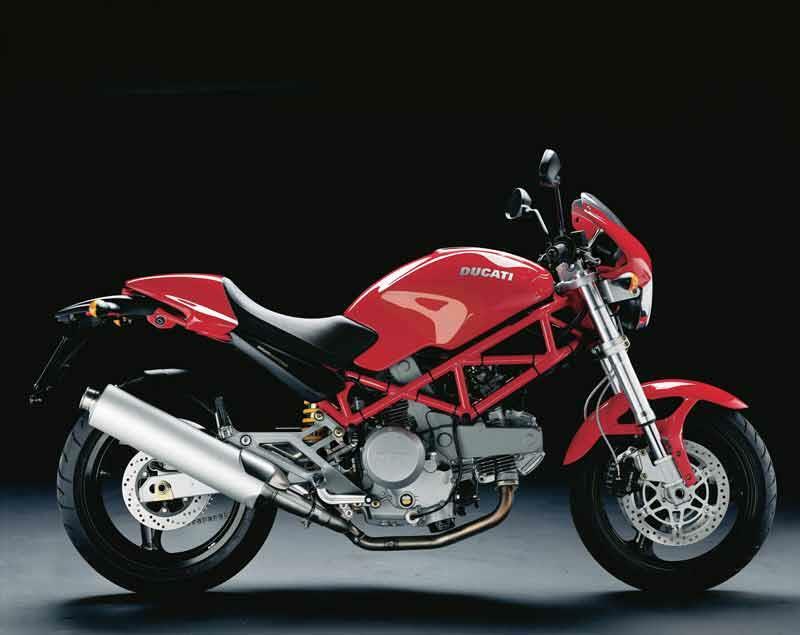 2001: Ducati M620 Monster i.e. , Dark and “S” versions launched: fuel injected and with a larger engine than the earlier Ducati Monster 600. Also comes with headlight cowl. The Dark comes with just one front disc and five gears. 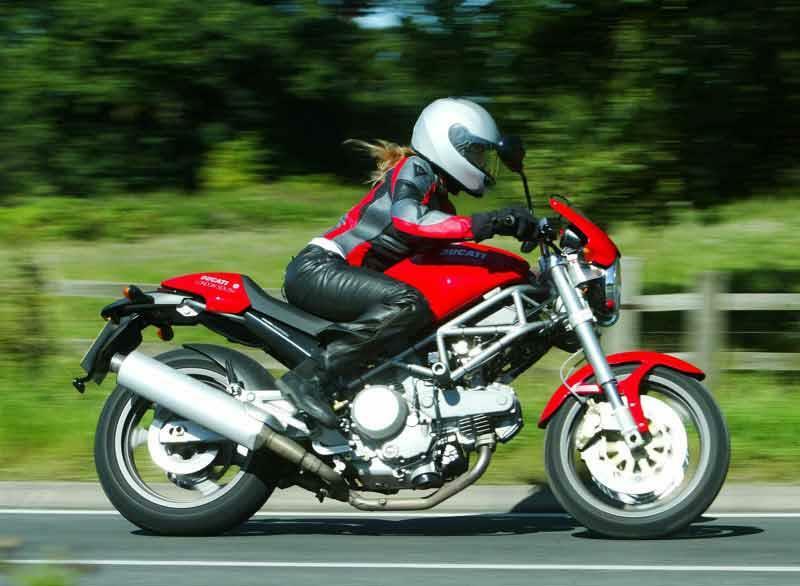 2003: Ducati M620 Monster and Ducati M620 Monster Dark take over from i.e. versions. S version discontinued. Dark comes with either twin front discs/6 gear or single disc/5 gear options. 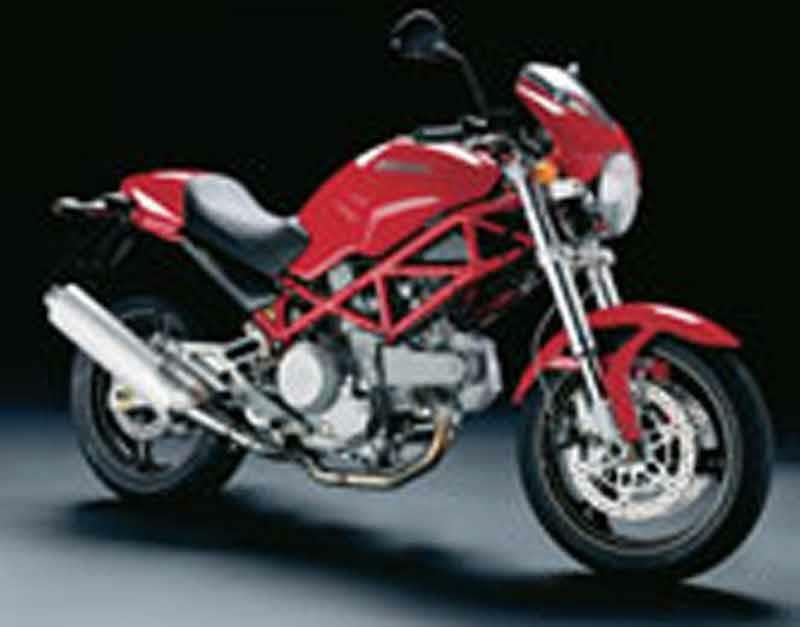 2004: Both Ducati M620 Monster and Ducati M620 Monster Dark get new, lighter clutch. 2005: Revised, wet plate clutch. 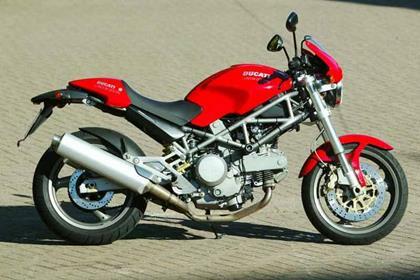 Ducati Monster 620S: “Sport” version with aluminium swingarm, taller seat, more ground clearance and a headlight cover. Discontinued at the end of 2003. Ducati M620 Monster Dark: cheaper, meaner-looking, matt black version of the standard Ducati M620 Monster, minus a screen and a seat cowl. 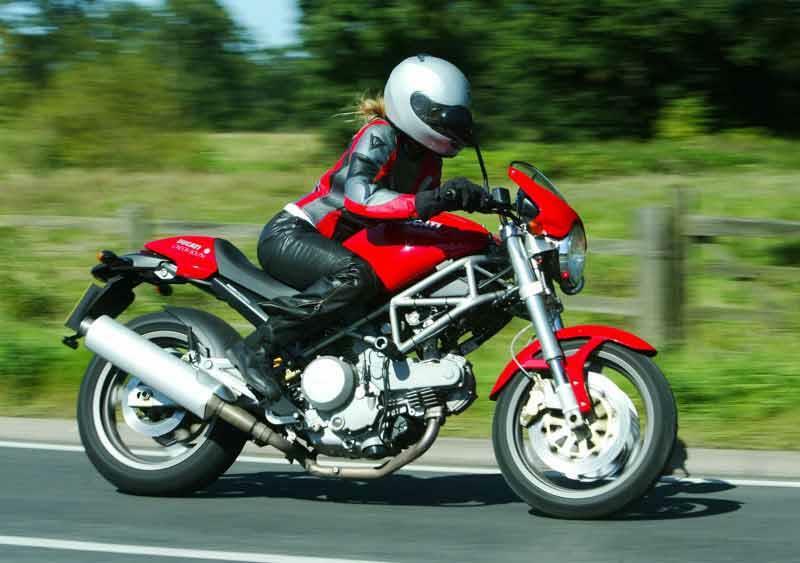 3 owners have reviewed their DUCATI MONSTER 620 (2001-2006) and rated it in a number of areas. Read what they have to say and what they like and dislike about the bike below. Fun and grin inducing little monster. Perfect commuter with enough grunt to have some fun. I bought this for my sons to use as the 2 year 47hp bike. It will need the restrictor fitted for that. The riding position is good for learners giving easy all round visibilty compared to a prone position. I love this bike. 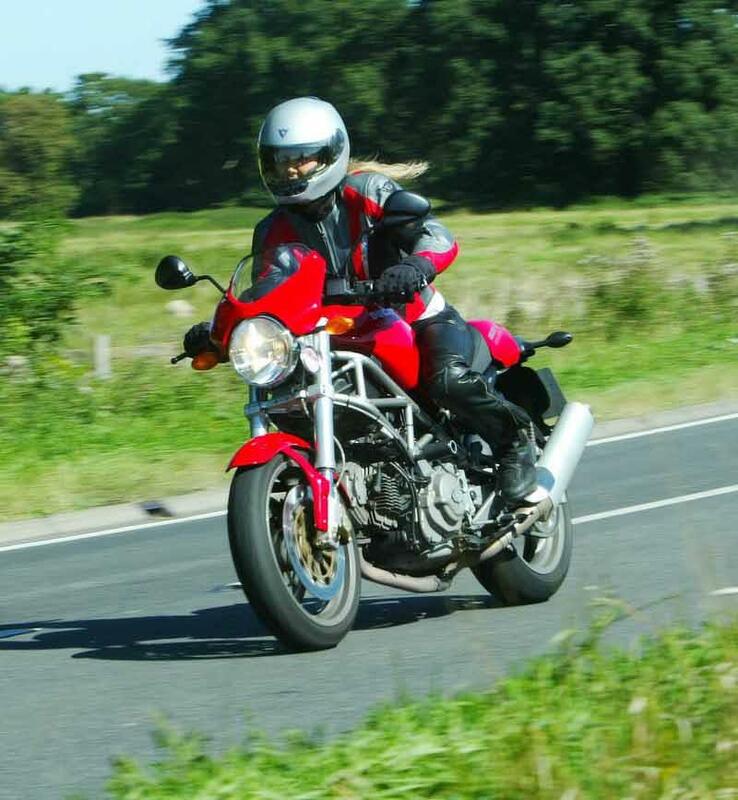 I have 3 Ducatis and this is the smallest and possibly the most fun. Great little engine in a fantastic chassis designed for more power that is never going to be overwhelmed.The brakes are more than enough , the 600 only had one front disc and that would probably be enough here too. I'm not the lightest person but the bike copes very well , even two up . Surprisingly torquey , I never need to thrash it on my 18 mile commute, the bike pulls all the way to its top speed and that delicious noise is probably made better by the lack of dry clutch plates rattling. My 2006 has very little corrosion. The petrol tank is plastic eliminating the potential to rust as some earlier Ducatis did. The clocks have cracks on many monsters but mine is perfect. Engine paint is starting to peel but mostly in the areas that experience impact from road grit throwing up , understandably. Quality fasteners and materials mean ducatis are generally better to work on and that is the case here. I do my own servicing and on this monster that is easy . Don't be put off by cam belts and closing shims. Belts are easy to change for even the average spanner man with a bit of care. This cost is for oil and filters , add 80 to 100 for belts but they are not every service. For me , the less the better. I understand the need to comply with regulation but I prefer minimalism. ABS means release the brake lever , anti wheelie means close the throttle , CPU is in my head not the bikes. I like the classic two clocks with analogue dials and a few dashboard lights . Perfect. The bike has an interesting feature where it tells you the engine oil temperature. Not really normal on an air cooled but good to know how long you need to nurse it while its warming up. The bike does'nt really like first or second gear much, way smoother & happier in higher gears. Performance & power is perfect for me but I can see faster more experienced riders wanting more. Slight rust on the underneath of the engine. Never broken down but costly to repair when my husband slide her down the road! Ducati dealers/specialists are expensive for servicing but my local garage is good value and always do a good job. No fuel gauge is slightly annoying. yeah this was my first big bike i got the 620SIE so it had full show front and rear shocks the higher ground clearance and the seat and headlight cowels anyway one thing i would tell anyone considering buying one is to buy a steering damper the front end is very light and any bumps or pot hold can result in bad tank slapers but apart from that a great bike! !.